The main considerations when choosing suitable activities are knowing the person and analyzing the activity. It is essential to match the person’s ability and interest with a meaningful activity that offers a suitable challenge. Attempting an activity that they no longer have the ability to complete or that they have no interest in, is destined to fail and can leave both the carer and the individual feeling frustrated. On the other hand, offering an activity that is too easy may be boring, or even patronizing. To determine what activities are most suitable for the person with Dementia, it is essential to create a life history profile about the person by collecting as much information about their life including their background, family and social networks, past interests and hobbies. It is not enough to simply list the individual’s hobbies and interests. It is important to describe what it was about the activity that they enjoyed. It might be assumed that because the person did a lot of dressmaking that she enjoyed sewing, when in actual fact it may have been financial stress that required her to clothe their family in this way and it was more a chore than a pleasure. You can create a life history profile in several ways. You can create a scrapbook or you can use a loose leaf folder. If you want to include personal objects and memorabilia, you can use a shoebox. Producing a life history profile can be a satisfying activity for the person with Dementia and their carers. The information obtained in the life history profile will be also be an invaluable resource in providing individualized care with personalized meaningful activities. It is also important to recognize how Dementia affects the individual’s ability to do things. Think about an activity that you enjoy doing and try to imagine doing the activity at the same time as experiencing any of the difficulties associated with Dementia. 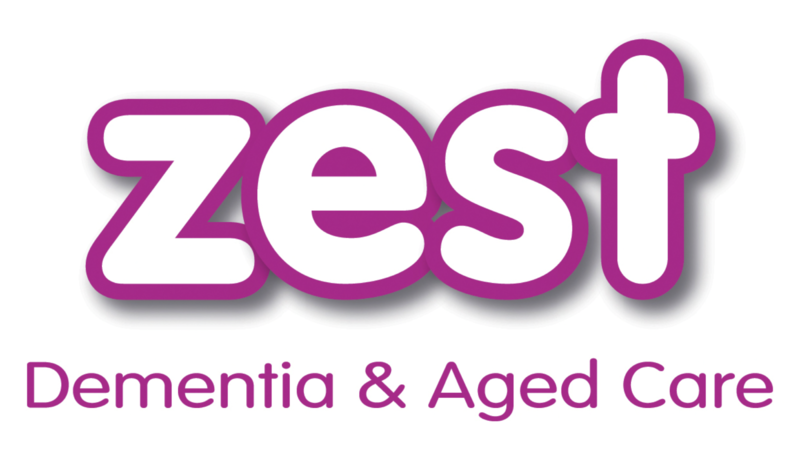 When doing an activity, a person with Dementia may forget (memory loss) the sequence or goal half way through the activity or they may be unable to communicate with the other participants (language impairment/aphasia). Perhaps they have difficulty learning or are confused as to time, place and person? Maybe perceptual problems affect their ability to recognise colors, shapes, objects and their ability to use them (agnosia)? Now ask yourself, would all of these factors affect your ability to participate in the activity or the enjoyment you get from participating in the activity? The effects of these impairments will differ depending on what stage of Dementia the person is at. It is also important to take into consideration any other conditions the person has that may affect their ability to do the activity, such as arthritis, Parkinsons disease or problems hearing or seeing. When determining whether an activity is suitable, you must establish the stage of Dementia the person is at and individualize the activity to satisfy the person’s interests, needs and ability. Although this can be a difficult task, there are some useful principles to follow. Activities should be failure free. Focus on what the person with Dementia can do instead of what they cannot do. Can they sort objects by size or color? Can they button shirts and zip up jackets? Can they follow written commands? Adapt activities to fit the skills of the person with Dementia by making them more or less challenging. If the person does the activity incorrectly, do not correct them. The goal is to connect with them and encourage a sense of success. The process of the activity is always more important than the result or the end product. It doesn’t matter what the end product looks like or if it has been done properly, so long as the person has enjoyed doing the activity. Consider the uniqueness of their life history profile when thinking about activities. People with Dementia retain old habits and abilities longer, so it is beneficial when choosing an activity, to find an activity that they used to do and enjoy. Create games based on their past interests and hobbies. Playing cards or gardening, with a person who never liked those activities in the past, is less likely to be a success, than it would be with a person who used to love playing cards or gardening. Activities that are too juvenile in nature can incite frustration, anger or apathy. People with Dementia often respond positively to dolls and children’s toys, but it is important to adapt the activity so as not to infantilize the person. For instance, large piece wooden jigsaw puzzles with photographic pictures of flowers, animals or cars are a favorite activity for many people with Dementia, whereas children’s wooden puzzles with cartoon characters would be too juvenile. There are many children’s toys that are appropriate for people with Dementia, providing they are suitably selected to match the person’s abilities. Our work plays a major role in our lives. Activities that recall a person’s work related past will create a sense of being useful and valued. Enjoying quiet time together can be a pleasant activity for people with Dementia. Sit on a park bench and enjoy the ambience of nature or hold hands while watching your favourite ‘classic’ movie on TV. People with Dementia often retain physical skills including the ability to exercise, walk and also maintain good hand-eye coordination. Balloons and beach balls can be used indoors or outdoors and are a good physical activity that they will enjoy while helping to keep fit. People with Dementia lose the ability to initiate activities. It is up to us as their carers to get them started. For example, if you are painting a picture, you will need to demonstrate with the paint brush and then hand them the paint brush to continue the activity. Give both verbal and visual instructions when explaining what to do. We are all reluctant to do things we do not want to do. You may find that you have to gently encourage participation and be persuasive, but you must ensure that you are not too aggressive. For practical and ethical reasons, participation in the activity should be voluntary. People with Dementia adore children and young adults. They often see them as their own and respond positively to their youthful energy. Children and young adults will also benefit from the interaction with their elders. Take chances and try new things. Often finding suitable activities will depend only on how inventive you are. Personal care (also referred to as ADL’s (Activities of Daily Living)) plays an important part in the role of activity, and is probably the most overlooked. In many cases it is a constant struggle for caregivers in nursing homes to get people with Dementia bathed and dressed when they are struggling to keep up with their workloads at the best of times. Personal care activities ensure dignity and it is important to take the time to help the person with Dementia take pride in their appearance. Dignity is foremost in the care of people with Dementia. Very rarely do you ever see the elderly unkept or wearing wrinkled clothes. A suitable activity of this nature would be to help the person with Dementia choose their outfit for the day ahead and lay it out in the cupboard ready for the carers. Personal care activities could also include brushing hair, shaving or applying make up. Even if you are busy, you can still take a few minutes to acknowledge the person with Dementia in a special way. As people with Dementia gradually lose their ability to participate in work and social activities, they particularly appreciate being acknowledged. All it takes is a gentle touch, a handshake or acknowledging them by name. Everybody has spiritual needs, regardless of whether they have a particular faith. You can celebrate a person’s faith or you can encourage them to stay in touch with their spirit through nature, music and the arts. For instance, being acknowledged fulfills a person’s spiritual need by helping them reclaim their sense of belonging. If the person with Dementia has more energy in the morning you may choose this time to go for a walk. Perhaps they are more focused in the afternoons and you can try an arts and crafts session. For people in the moderate to advanced stages of Dementia, you may find that they may sundown in late afternoons and early evenings. This can be a challenging time for activities, but the right activity can be a good diversion for redirection and reducing behaviours associated with ‘sundowning’. For more information on ‘sundowning’ click here. What you have arranged as an activity on any given day may not always work to plan. Quite often the person with Dementia will not connect with the activity you have chosen, so you must have an alternative or alternatives ready to try. Persistence is the key and through trial and error you will eventually find activities the person will enjoy. Also remember that an activity that was unsuccessful one day may be a hit the next. Take note of activities that the person enjoys. They may not remember doing them, but may remember the process instinctively. Try to keep the activities fresh, by using the same procedures but changing the content of the activity. For instance, if you are sorting objects, vary the objects and the colors each time. In the early stage, people with Dementia can still follow rules and work towards a goal. Active Games and Sports: bowls, darts, horseshoes, beanbag toss, walking, gardening, charades, ring toss, balloon or beach ball toss. Arts and Crafts: knitting, collages, painting, drawing, coloring, woodworking, scrapbooking (ideal time to do a life history profile), flower making, sewing, tissue art and holiday or seasonal crafts. Beauty & Grooming: manicures, pedicures and massage. Community Outings: restaurants, parks/picnics, movies, bingo, theatres, museums, bowling and sightseeing. Group Discussion: news and current affairs, remember when, memory lane, penny ante, holiday/seasonal discussions. Educational Programs: music appreciation, art appreciation, travel club, bible studies. Exercise: stretching, tai chi, dancing, sittercise, walking club, wheelchair aerobics, rhythm stick exercise, ribbon exercise. Film, Movies and DVD’s: nature and sensory DVD’s, relaxation DVD’s, travel DVD’s, classic movies and television shows, music DVD’s. Independent Activities: anything the person does independently such as reading, watching TV/movies, web browsing, word puzzles, socialising, arts and crafts, card games. Music/Singalongs: singalongs, karaoke, music appreciation, music trivia, name that tune, rhythm band. Outdoor Activity: walking club, picnics, nature walks, bird watching, garden tours. Party/Special Events: seasonal events, elegant dining, holiday events, entertainment, fashion show; birthday parties, BBQ’s, sporting events (AFL, NRL, Cricket), cultural events. When attending parties or social events, it is important to remember that people with Dementia should not be over stimulated. Pet Therapy: petting zoos, animal visits, pictures and discussions about animals and pets, DVD’s, nursing home resident pets. Nursing Home Resident Committees: recreational planning committee; resident council, resident volunteering. Sensory Stimulation: aroma therapy, hand massages, pedicures, making scents, name that sound, sensory/nature DVD’s, sensory music, food and drink tasting. Word Games and Trivia: trivia challenge, spelling bee, definition bee, Pictionary, music trivia, 20 questions, anagram, Scattegories, crossword puzzle, hangman, who am I, word search. As the Dementia progresses and thought processes and language are further impaired, it is difficult to follow rules and work towards a goal. However, familiar routines are retained, as is the ability to use familiar objects. Active Games and Sports: bowls, darts, horseshoes, beanbag toss, ring toss, balloon and beach ball toss, walking, simple gardening, such as raking or sweeping, household chores such as wiping the table, folding towels, washing the silverware, pairing socks. Arts and Crafts: collages, painting, coloring and drawing. Beauty & Grooming: manicures, pedicures and massage, hair brushing and hand washing. Cooking and Baking: simple recipes with minimal ingredients such as biscuits, muffins and pancakes, under supervision. Group Discussion: reminiscing using prompts such as objects, pictures or a life history profile. Exercise: dancing, sittercise, walking club, rhythm stick exercise, ribbon exercise. Film, Movies and DVD’s: nature and sensory DVD’s, relaxation DVD’s, travel DVD’s, classic movies and TV shows, Music DVD’s. Horticultural Therapy: flower arranging, window box/planter gardening under supervision. Music/Singalongs: singalongs, sensory CD’s and music DVD’s. Outdoor Activity: garden walks, garden tours, picnics. Party/Special Events: birthday parties, BBQ’s, special events. (nursing home setting). When attending parties or special events, it is important to remember that people with dementia should not be over stimulated. Social Outings: ice cream social, pizza party, happy hour. (nursing home setting). When attending social outings, it is important to remember that people with dementia should not be over stimulated. Spirituality/Religious Programs: spiritual awakenings, readalongs – Chicken Soup for the Soul, spiritual DVD’s/CD’s, Bible stories, inspirational readings. Sensory Stimulation: aroma therapy, hand massages, pedicures, name that sound, sensory/nature DVD’s, sensory music, food and drink tasting, smell sensory activities, readalongs. Table Games: black jack, poker, scrabble, monopoly, checkers, bingo, memory games, puzzles, cribbage. Often people with Dementia will retain the ability to play old familiar board games and card games from their past. Games and Trivia: flash cards with simple words, easy large print crossword puzzles, easy quizzes and trivia. As the Dementia becomes more advanced, activities need to focus on stimulating the senses and encouraging one-step and simple rhythmic and repetitive movement. Sensory based activities should include the fundamental senses of seeing, tasting, hearing, smelling and feeling. Ultimately, the person’s world is only experienced through reflex responses to direct sensory stimulation. Active Games and Sports: balloon and beach ball toss, table ball games. Arts and Crafts: painting, coloring and drawing. Horticultural Therapy: flower arranging, raking and sweeping. Outdoor Activity: garden walks, picnics. Spirituality/Religious Programs: readalong – Chicken Soup for the Soul, spiritual DVD/CD’s, Bible stories, inspirational readings. Sensory Stimulation: aroma therapy, hand massages, pedicures, sensory smells, sensory/nature DVD’s, sensory music, food and drink tasting, smell sensory activities. Word Games and Trivia: flash cards with simple words.